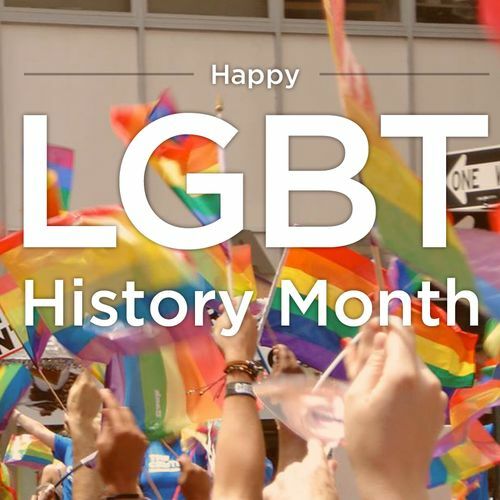 October is LGBT History Month in the US. The UK marks this in February, but as with all histories, we live amongst LGBT history every day; through the rights that we exercise or fight for, the films we watch, books we read, and people's stories we hear. We are all now living LGBT history for future generations, but this isn't something that most of us dwell on the gravitas of on a day to day basis when we're just getting on with it (well, I'm don't, anyway, and actually I think that by just 'getting on with it', our generation is breaking new ground in terms of normalising gay lives. Plus there's work to be done, friends to be seen, drinks to be drunk etc). If 1 in 16 people in the UK (1 in 50 in the US)* is gay, then the chances are that we do all have gay family ancestry somewhere down the line. We probably don't know it, of course - our ancestors may not have known it themselves, let alone acknowledged it, in eras where individual and society's expectations of love, marriage and relationships were very different (yet in some cases shockingly similar) to today. But it does raise some intriguing questions: How many of those 'maiden aunts' were actually lesbians? How many uncles were in lavender marriages? Taking this further than chance, theories about the gay gene would suggest that gay men may well have had more in common with the X chromosomes on their maternal side than they think. And women may want to start scrutinising old photos for the lengths of their relatives' ring fingers (apparently longer than the index finger in lesbians than straight women). Even if being gay is as much down to environmental factors as genes, this environmental influence may still be something that we have inherited from our families, unbeknown to them (as Dr Michael Bailey of Northwestern University says, it's important to note that environmental factors can actually affect our biology, they are not merely social factors - i.e.. 'choice'). As being gay is just one part of a person's identity, then regardless of any genetic gay ancestry, our families are still likely to be the most obvious sources for tracking how our personality and biology (including our 'gayness') have manifested themselves to make us who we are. Then there will always be that untraceable bit that makes each of us unique. Gay ancestry in the historical and cultural sense is more about charting the experiences in the world of people who we aren't related to but who share this part of us. We may have no more in common with them than any stranger, and equally (like with some families), there isn't an automatic bond due to having a commonality. But for many LGBT people, these figures are the only visible ancestry for their sexuality through time and place. And as well as identifying, we may empathise or feel a debt of gratitude for how they've paved the way for us and made our own struggles that bit easier through theirs. It's hard not to feel emotional seeing footage of the Stonewall riots and gay Pride marches; old black and white interviews with people talking about how it was to be gay in previous decades, or seeing history brought to life in films. I laughed, cried (and felt affinity and pride) watching Pride at the cinema a fortnight ago. And the beauty, bravery, yet fragility of Dusty Springfield as a gay woman in the 60s really gets me. Not because I've had that same struggle, but because she's a person who could've had such a different experience if she was a young singer alive today. To me, this kind of ancestry doesn't explain who I am - I look to the family I grew up in and am biologically related to for that. But aspects of LGBT history are important, and inspirational to me. As with many genealogy projects or 'Who do you think you are?' programmes, I think LGBT ancestry is as much about celebrating these 'ancestors' and keeping them alive, as tracing a personal line to the past or seeking historical, social or cultural identity or belonging. If it achieves both aims, then we're truly living with history (or lestory, gaystory, bistory, and transtory! ).